What better way to spend the long hot days of summer than at the beach with the people and the furkids you love. At these fabulous spots, both you and your dog are welcome. Just remember to always be in control of your pooch, and to scoop his poop! This stunning foreshore reserve on Sydney Harbour has still waters ideal for swimming as well as playground equipment, barbecue facilities, public toilets and poo bins with bags. 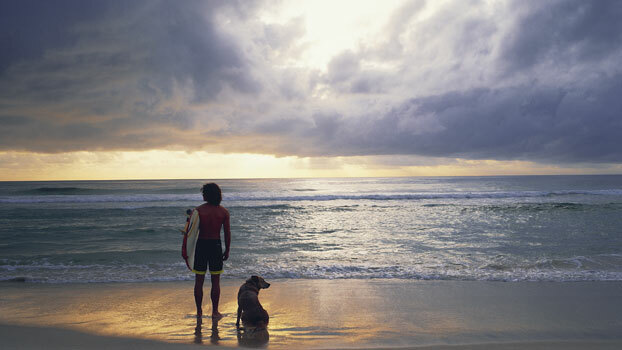 Dogs are allowed on the beach all day Monday to Friday, and from 4pm to 9am on weekends and public holidays. 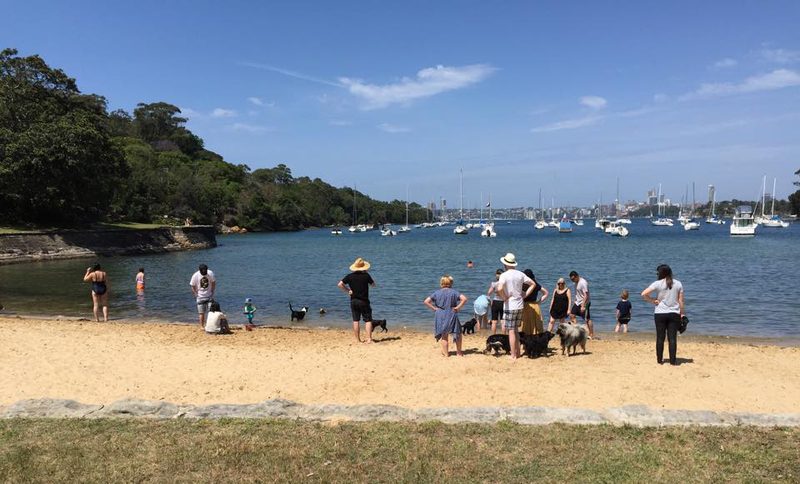 Rowland Reserve is one of the best dog friendly foreshore reserves in Sydney with lots of grassed area for dogs to run about on before they cool off with a swim. Always very popular with the pooches and parking is free for one hour. Access: Rowland Reserve, Pittwater Road, Bayview, NSW, 2104. 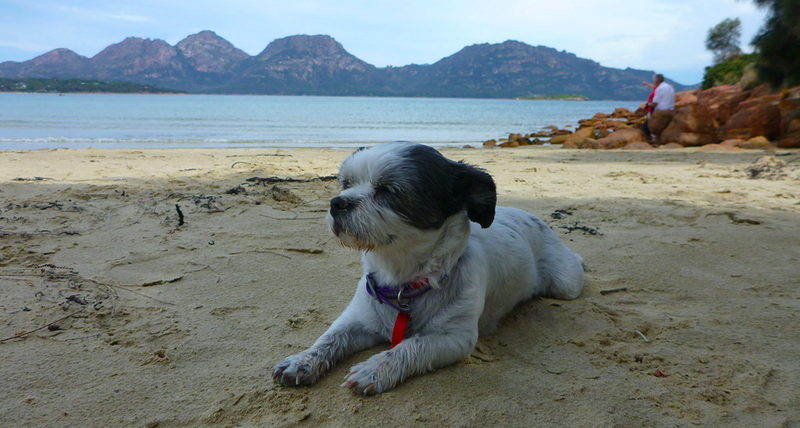 If you are feeling quite energetic, we also have suggestions for "20 Great Dog Walks around Sydney and Central Coast". 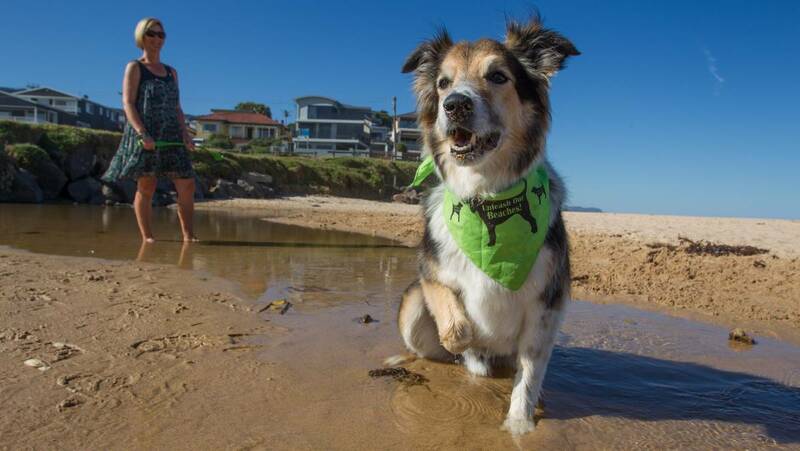 Deemed by locals as the best beach to take your dog out in the Wollongong area, McCauleys Beach is accessed from Corbett Avenue, Thirroul (20 mns North of Wollongong, 70km South of Sydney). Great spot to kick a ball or go for a splash. You will also find creeks that are perfect for a younger dog just learning to swim and not quite ready for the added distraction of the waves in the ocean. Other recommended beaches in the Illawarra include Little Austinmer Beach (off-leash access via Yuruga St.); Coniston Beach (off-leash access via Bank St. or Swan St.); Puckeys Reserve, Fairy Meadow. The peaceful atmosphere of the area makes you feel like you are miles from anywhere, when in fact you are only 10 minutes from the towns of Taree and Forster. Diamond Beach is a beautiful 6km long beach, ideal for fishing, surfing or just enjoying a long beach walk with the dogs whilst watching the dolphins frolic in the waves. Access can be found at the end of Diamond Drive or adjacent to Jubilee Parade. 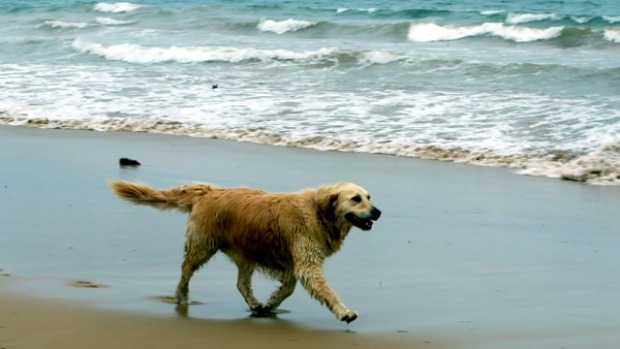 A golden 7km stretch of sand for you and your dog to stretch your legs on. With powder white sand that stretches for miles, and clean, clear waters lapping its shores, this magnificent seven-kilometre strip of sand on the southern side of the headland stretches all the way to Broken Head Reserve. The designated dog-friendly area starts near Jarman Street in Suffolk Park and extends north to the boundary of the Arakwal National Park. If you live in and around Brisbane, there are many dog-friendly parks, walks and beaches where you can take your pooches. We have listed our favourites here: "Top Dog Parks & Walks around Brisbane". 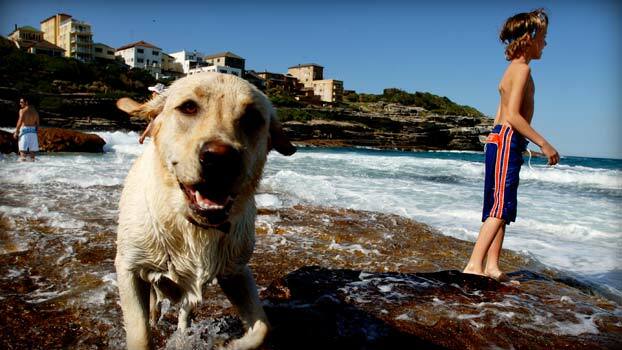 Swim in the surf and run along the sand with your four-legged friend any time and, afterwards, you can go for coffee at a cafe that has fresh bowls of cool water for your pooch. Located just 15 minutes from Cairns. 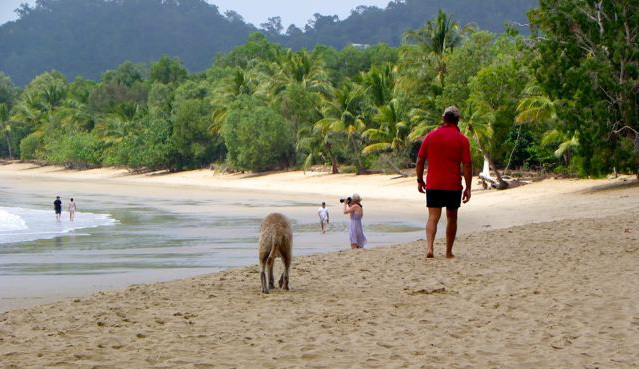 Yorkeys Knob Beach is a great spot to relax with your pooch. Named after a local fisherman called "Yorkey" who lived on the rocky hill ("knob"), this gem is one of the best-kept secrets in Tropical Queensland. 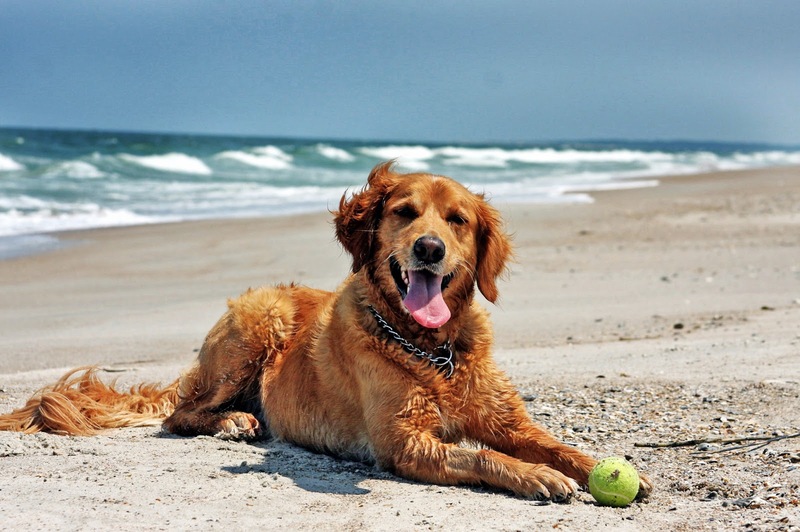 The southern end of the beach is the only dog off-leash area where your canine friend is allowed to run free. Check out these other "dog-friendly Parks & Walks around Melbourne". Your dog can frolic on the white sand and swim in the crystal clear water – as long as you leave it unblemished by picking up any poop! 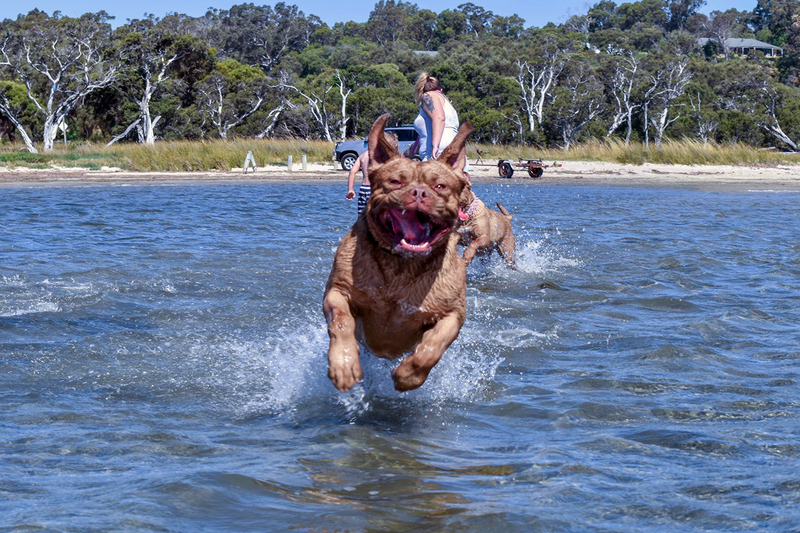 Though not technically a beach, locals love walking their dogs along the Leschenault Inlet. Unless your dogs have the perfect recall, keep them on a leash as there is abundant wildlife (birds, black swans and dolphins) and watch out for the signs in the area. There are designated eco walks (The Maidens Walk, Big Swamp, Eaton Foreshore Track) where dogs are welcome. 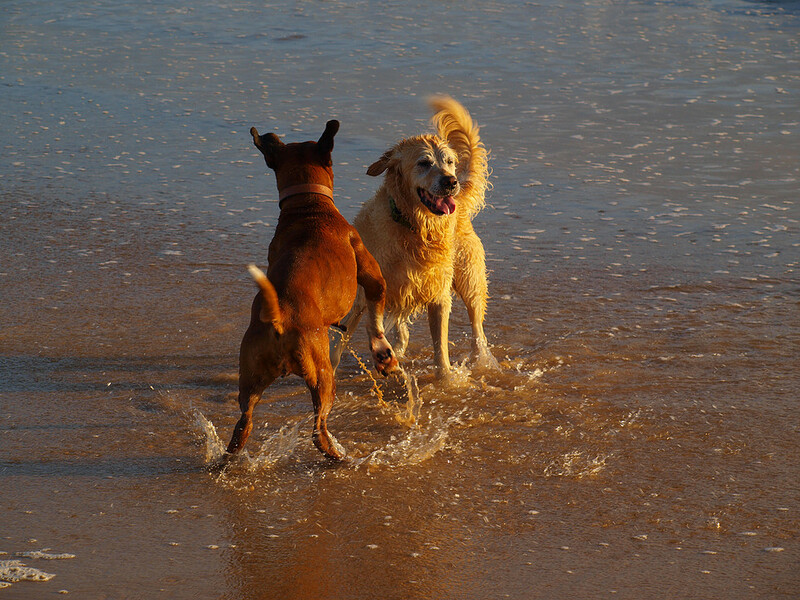 Why not check our "Great Dog Parks & Walks around Perth" for other ideas? 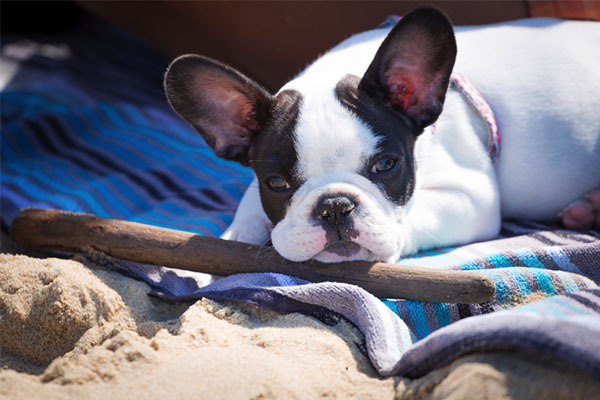 Do you have another favourite beach spot you'd like to share with other dog lovers?